The Berkshire Fishing Club is a breathtakingly, beautiful preserve for anyone who loves the peace and serenity of nature. Bringing the best of the Berkshires together with the privacy of an exclusive club located in Becket, Massachusetts. The club is sited on 850 acres of pristine wooded hills surrounding a private lake—Palmer Brook Lake. decades, the lake is home to largemouth bass and other game fish. 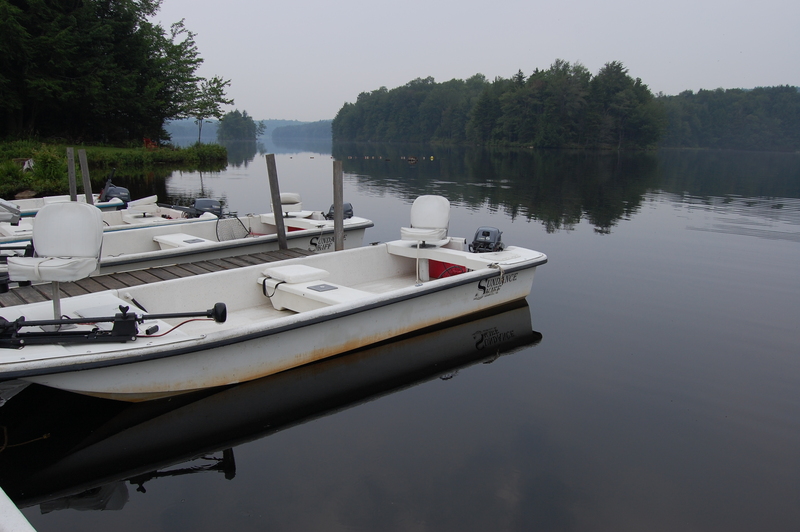 To ensure a quality outdoor experience, club policy dictates that only 10 boats are allowed on the lake at any given time. Please note that no personal boats are permitted on the lake. Further, fishing times are by appointment only to ensure a pleasurable experience for all members and guests. In order to maintain optimum fishing conditions, Berkshire Fishing Club is strictly a catch and release operation (no live bait permitted). Call to reserve your boat today 413 243-5761.